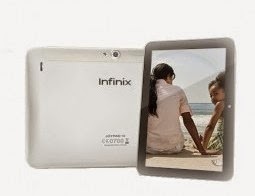 If you have not used an android tablet smart device before, then you can give it a try today with Infinix Joypad 10.The all new Infinix Joypad 10 is a slim ultra lightweight 8.0 Inch tablet that’s powered by a 1.2GHz Quad Core Processor, very ideal for Gaming and media, it carries a 16GB internal memory and is expandable with a 32GB micro SD, Android 4.2.2Jelly Bean. Capture the best moments of your life with camera 360 leaving voice notes on your pictures. You can also transfer heavy media and files within seconds using the pre installed Flashshare app for a most pleasurable content sharing experience. Joypad 10 comes bundled with an efficient operating system Android Jelly Bean 4.2.2 with a good and responsive interface. The device has a RAM of 1GB which is able to handle task well and smoothly. 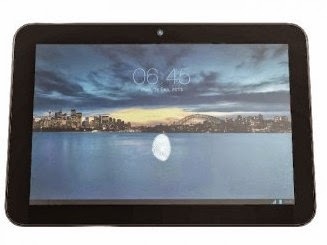 Furthermore, the tablet comes with 16GB internal memory without a memory card slot to expand the memory. Nokia Lumia 930 smartphone with 5.00-inch 1080x1920 display powered by 2.2GHz processor alongside 2GB RAM and 20-megapixel rear camera. THE LUMIA 930 is the latest, and perhaps the last flagship smartphone to come out of Nokia, and is among the first handsets to run Microsoft's Windows Phone 8.1 mobile operating system, following in the footsteps of the mid-range Nokia Lumia 630. Nokia clearly is hoping that its latest flagship smartphone, thanks to its updated software and top-end specifications, will help it fight off competition from the Samsung Galaxy S5 and Sony Xperia Z2. The Nokia Lumia 930 is the sequel to the Nokia Lumia 925, and it improves on the last year's Windows Phone flagship's specifications. 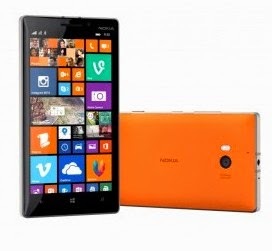 The Nokia Lumia 920's standout feature is its 5in screen, which boasts Full HD 1080x1920 resolution and Nokia's Clear black display technology, which the firm claims offers 180 degree viewing angles. This display is driven by a quad-core 2.2GHz Qual comm Snapdragon 800 chip, which arrives paired with 2GB of RAM. There's a 20MP camera on the rear of the Lumia 930, a huge improvement compared to the 8MP snapper found on the Lumia 925. Nokia's usual top-end camera features are onboard, including Carl Zeiss optics, optical image stabilization and LED flash. It is also capable of shooting HD 1080p video, and there's also a 1.2MP camera on the front of the device. Under the bonnet, the Nokia Lumia 930 has a 2,420mAh battery, which the firm claims will offer up to 15.5 hours of talk time and a standby time of up to 18 days. Wireless charging support is also included, and the phone will ship with a free wireless charger. Other specifications include Bluetooth 4.0, 32GB of internal storage - without a microSD card slot - and support for 4G LTE connectivity.